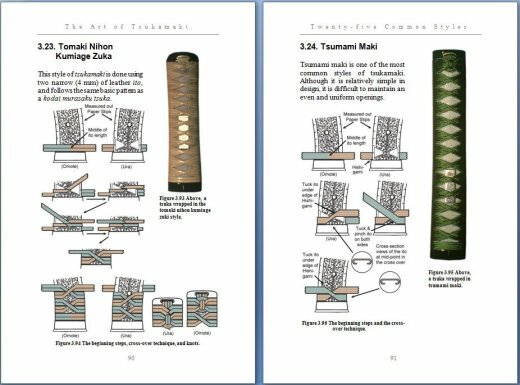 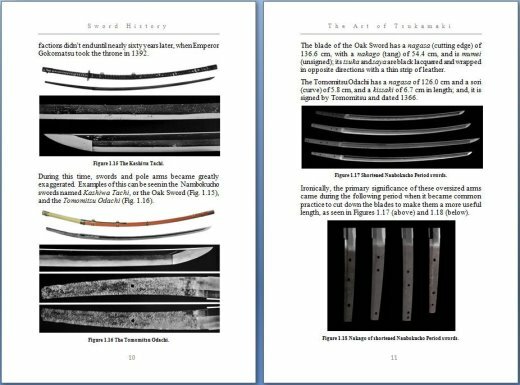 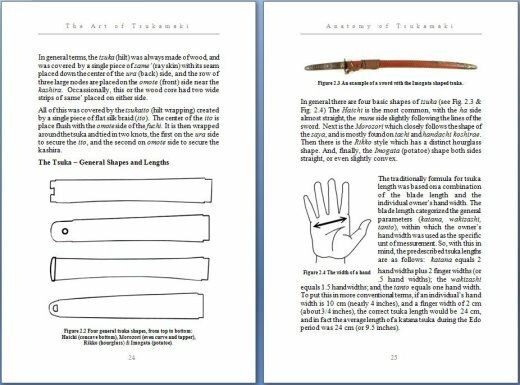 Publisher's description: "A wide-ranging guide to over 30 styles of classic tsukamaki and koshirae. 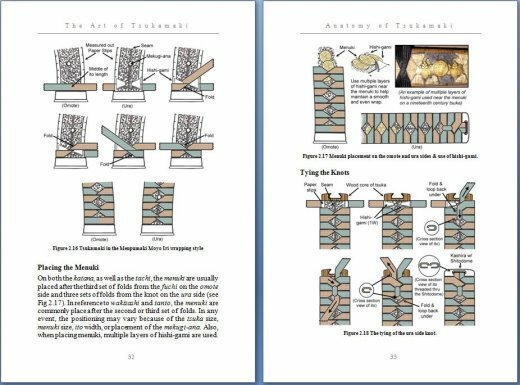 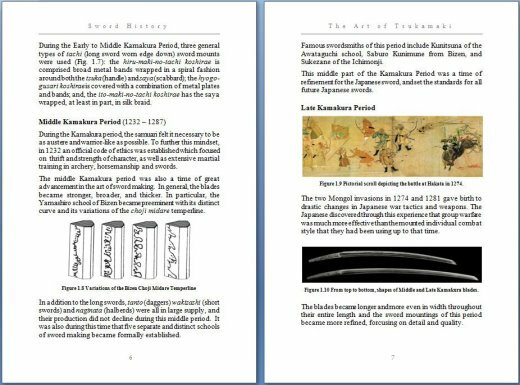 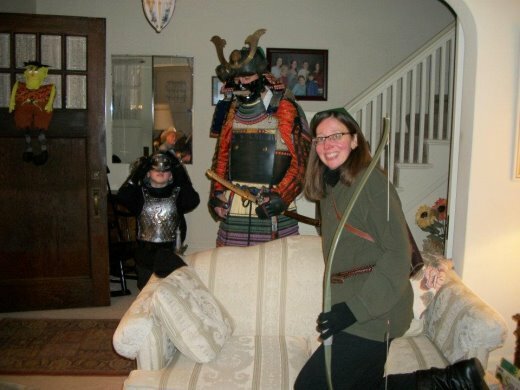 Plus, an over-view of Japanese history; a timeline of the evolution of Japanese arms; and, a comprehensive visual glossary of Japanese swords, temper patterns and mei kanji." 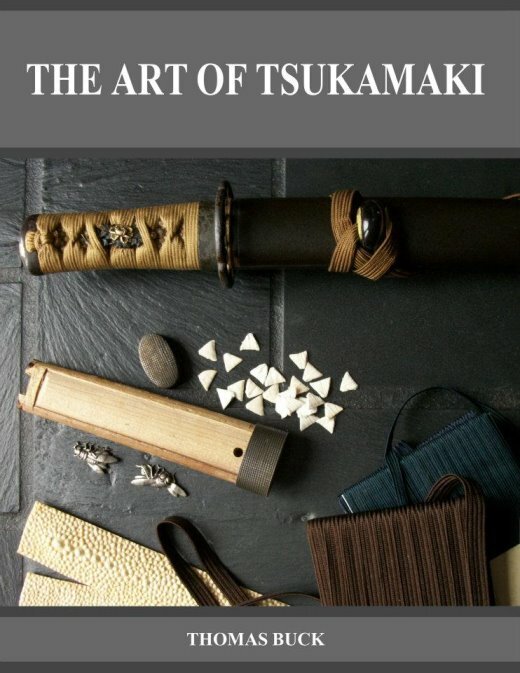 Here is the cover & a few sample pages... What do you think?